(07-22-2015, 10:50 AM)recca2 Wrote: What is the requirement of OA quest ?Im currently lv 41 but still not have OA quest. 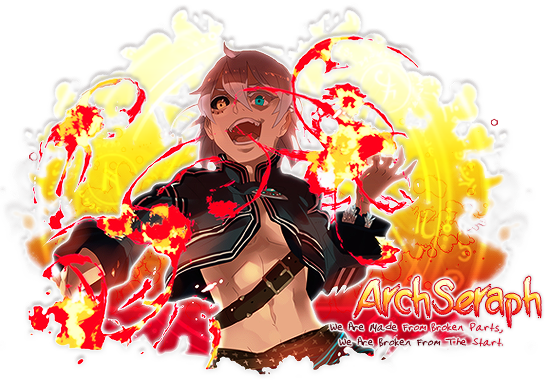 (07-21-2015, 06:11 AM)Person Wrote: Currently,Lv42 required,3OA dungeon runs. (01-09-2015, 07:45 AM)Ruecian Wrote: 3. 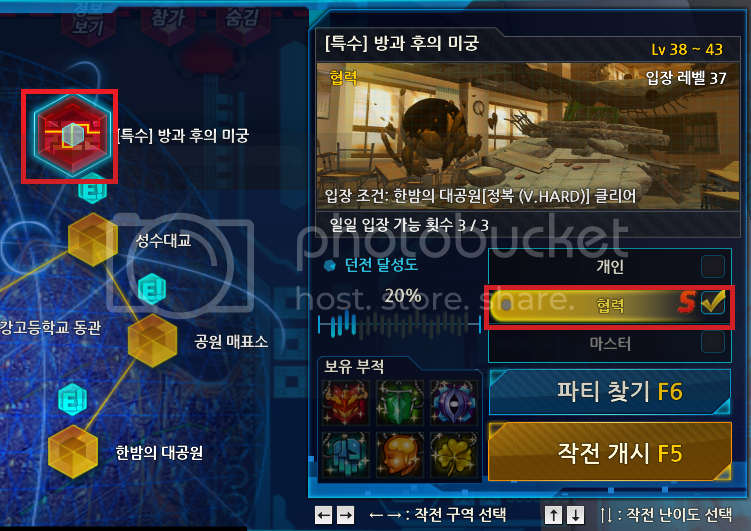 The next quest will be 3 runs on 마천루 유인전 [마스터] recommended for 2 people party or ask friends for help. 5. She will ask you to 3 times on 방과후의 미궁 [협력] you must reach the boss room no matter what or else it will be fail. 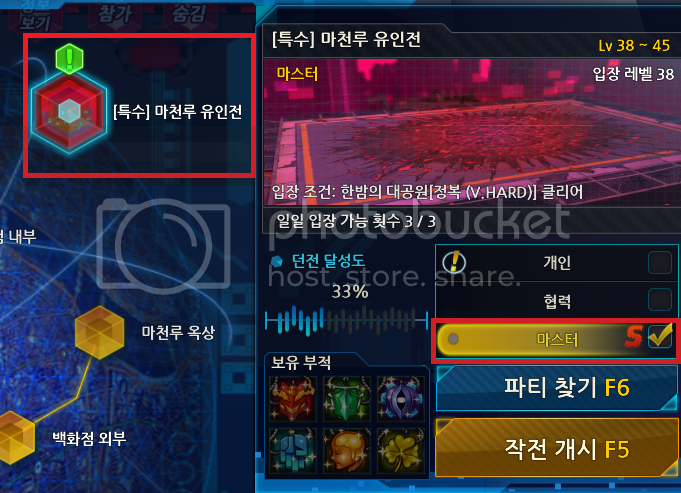 I would like to add that for 마천루 유인전 [마스터] and 방과후의 미궁 [협력] now require only 1 run and the Cube Area needs only 8. Guys, I'm lv45 right now but this dungeon doesn't show up on my map. What should I do? (08-16-2016, 09:07 AM)jinzkrizy Wrote: Guys, I'm lv45 right now but this dungeon doesn't show up on my map. What should I do?